so... wanting to get that color... all my plants are green right now. even the poinsettia is just green. time to paint some abstracts. me and abstract art--- I don't do it very often, but that is what I used to do when I started selling my work in Oklahoma City. I called it surreal; but that's not exactly what it was it was more abstracted figures in an ethereal narrative from my head and influencers. Someone told me once "style is something that is formed in retrospect" and I can definitely say I can speak of my older work so much more easily than my new paintings! 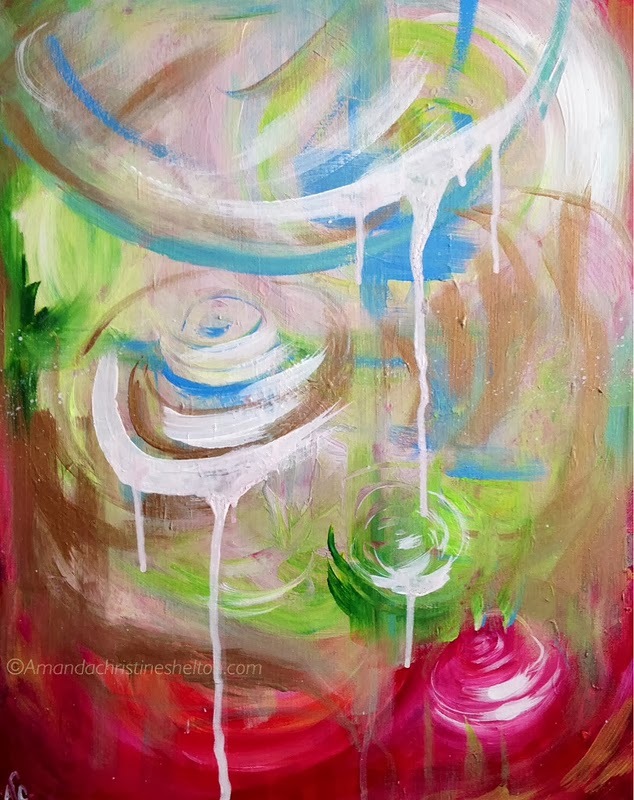 But I guess I should actually show you some new abstracts. 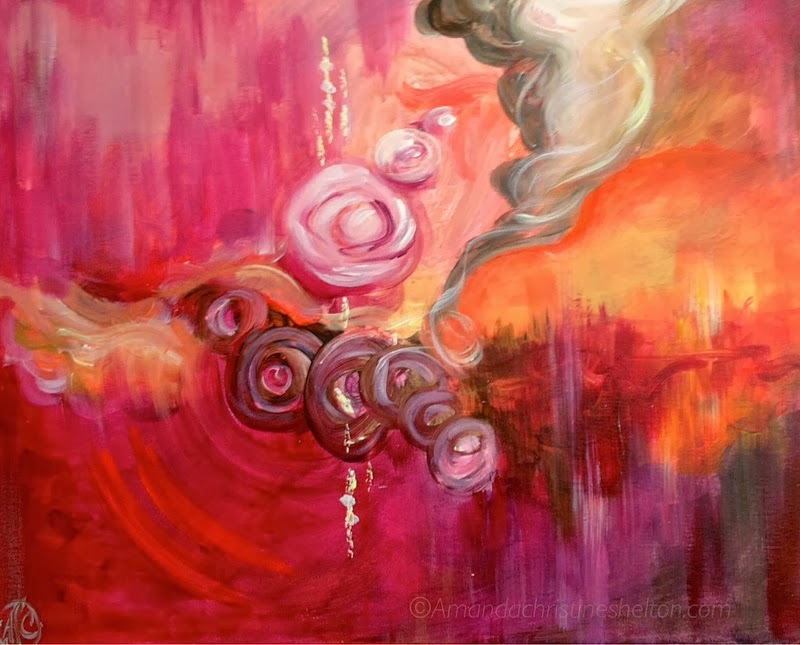 I painted three that are going up in my online shop here, and they are inspired by roses, rose rocks (there's a pile on my desk), and the whole idea of the "Oklahoma Rose" being our state flower. The hybrid tea rose that is known as the Oklahoma Rose became our state flower in 2004 and, when I was in school, our state flower was Phoradendron serotinum, a species of mistletoe. 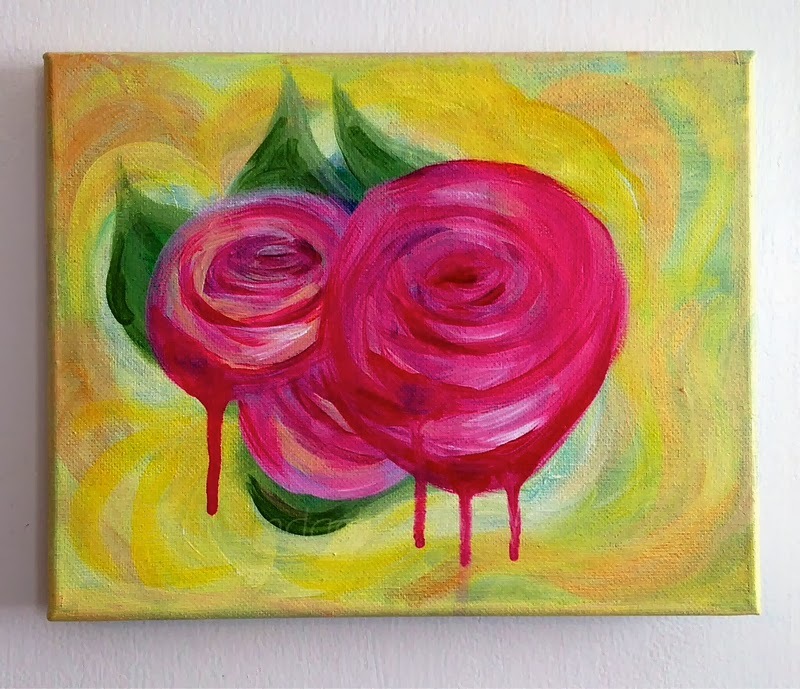 But anyway, here are some abstracted roses in Spring-y colors! To purchase any of these or if you have questions (or to request abstract pieces in custom colors) send me an email. Have a good weekend!